Pueblo Viejo mining complex. Photo by Barrick Gold. During a legislative forum organized by the Dominican Republic’s Lower Chamber in the city of Cotuí, which is located in the central province of Sánchez Ramírez, residents, community members and activist groups said that the federal government should transfer the province 5 per cent of the royalties it receives from Barrick Gold and that MPs should push for this to happen. Barrick (NYSE, TSX:ABX) has a 60-per-cent interest in the Pueblo Viejo mining complex, which is located near Cotuí and is expected to produce between 585,000-615,000 ounces of gold for the company in 2018. Goldcorp owns the remaining 40 per cent. 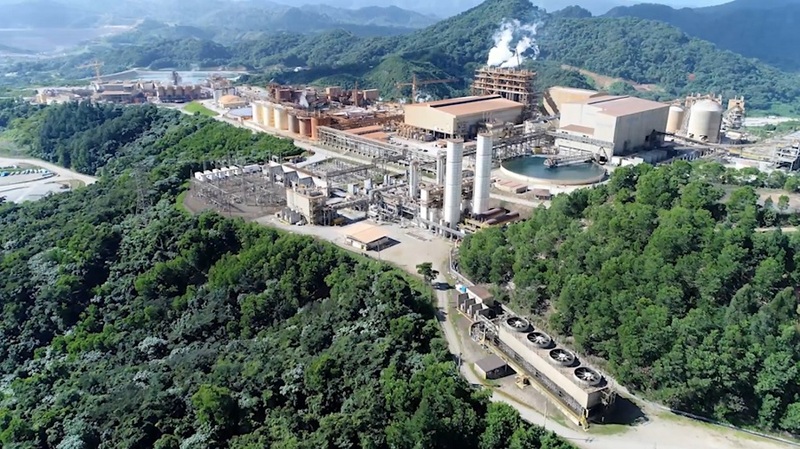 According to local media, community leaders said that the transfer of funds is stipulated in the contract that the Dominican Republic signed with the Canadian miner. However, they denounced that the Danilo Medina administration is not fulfilling its commitment to the province. Together with these complaints, residents of La Piñita, La Cerca, La Laguna, El Naranjo and Tocoa, which surround the Pueblo Viejo operations, asked both the government and the company to relocate them. They said that air pollution in the area is making everybody sick. After having heard these and other interventions, the president of the Lower Chamber, Rubén Maldonado, responded by promising to create a special commission that will investigate all the allegations.